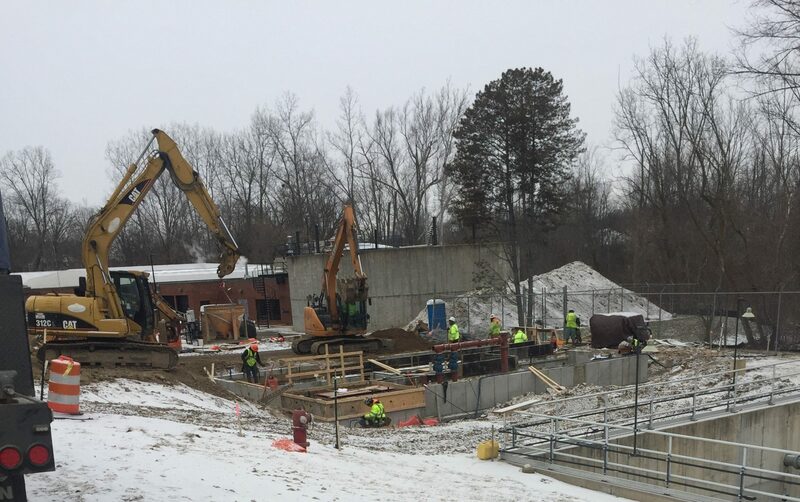 Commercial Contracting Corporation (CCC), was hired as a lead contractor for renovations and additions to an existing waste water treatment plant. 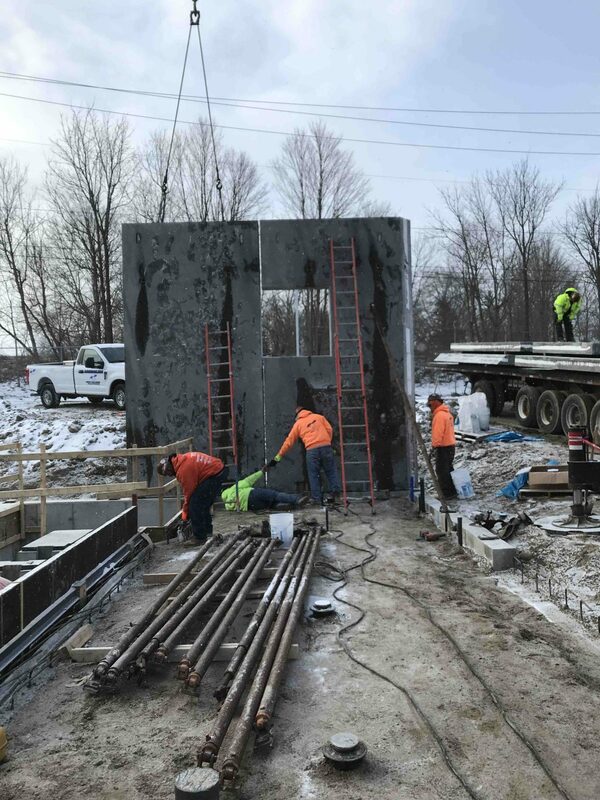 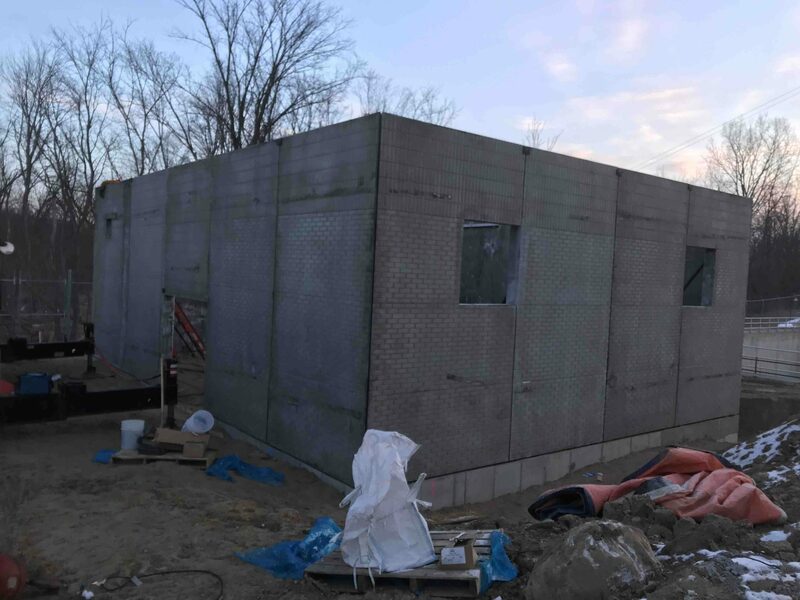 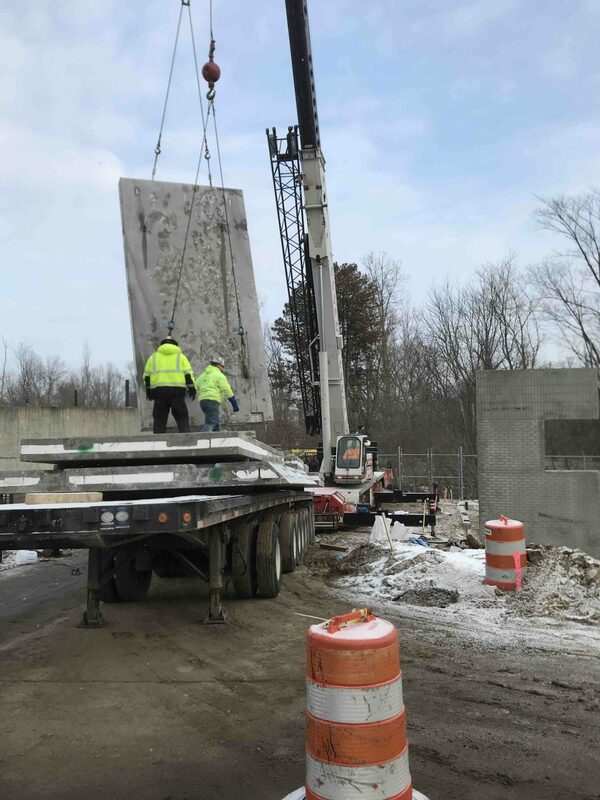 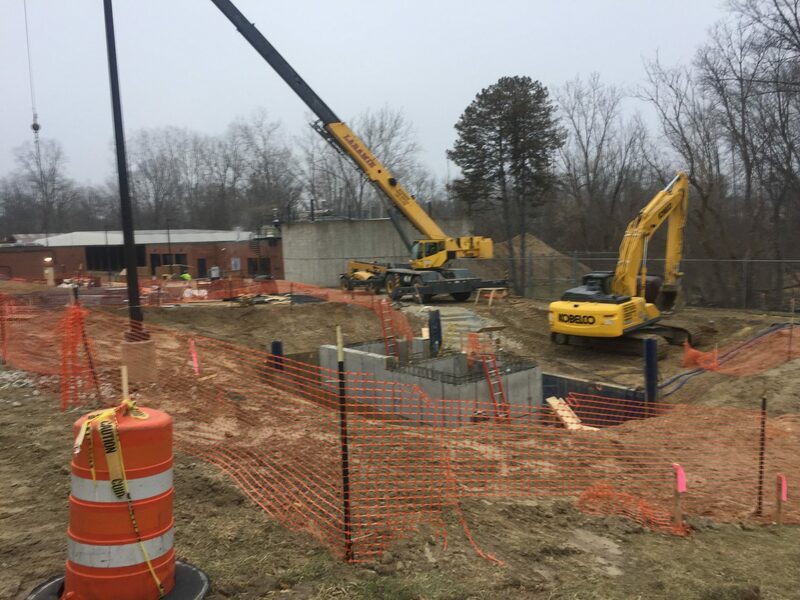 Scope includes installing two vaults into the existing building, constructing a new headworks building, including concrete foundations, pits and trenches, erection of precast walls and roof and installation of mechanical equipment to upgrade waterflow and filler systems. 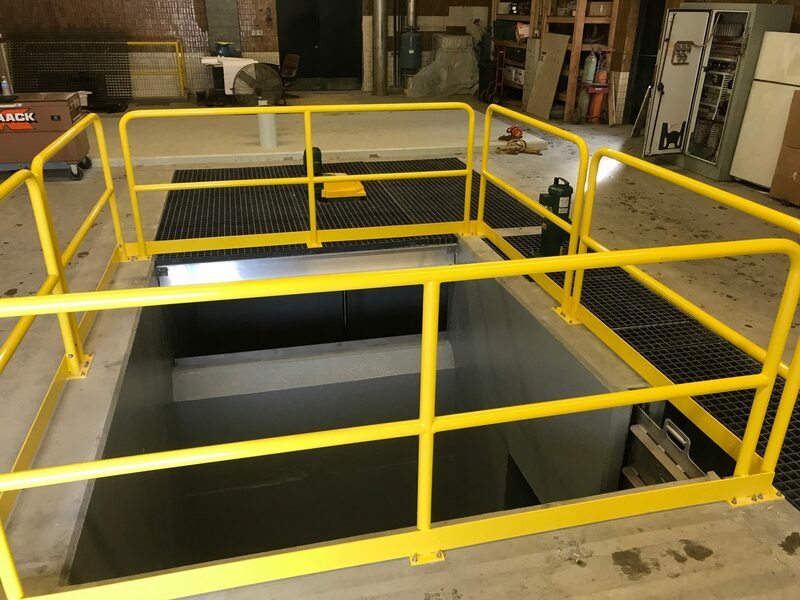 Scope of work in existing building included; demolition and infill of existing pits, trenches, and holding tanks, installation of new concrete “flocculation tank” and “filter feed pump well” in lower level to main level of the building, fill existing pit and place concrete cap and misc. 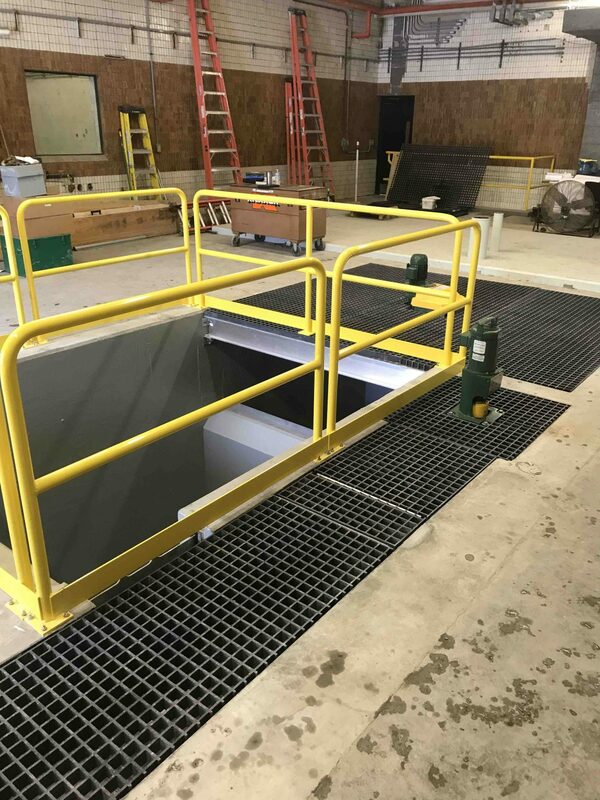 equipment pads. 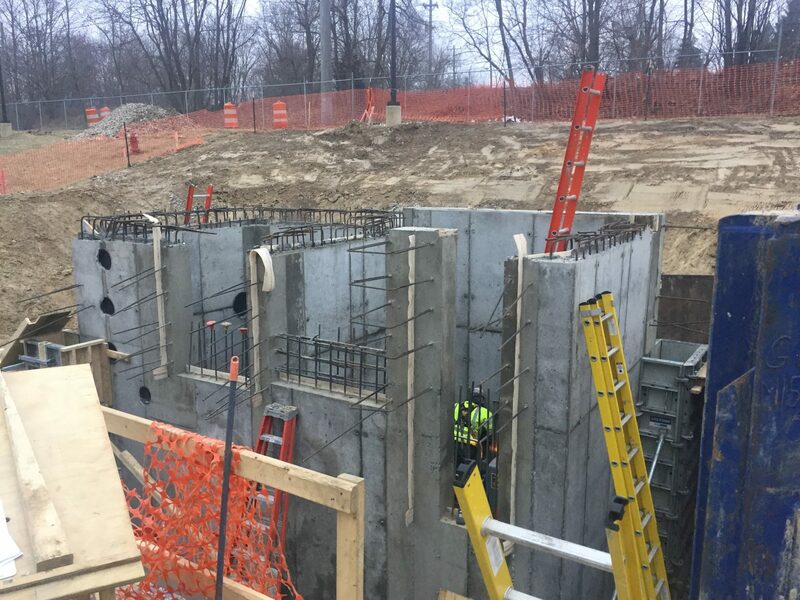 Scope of work for new headworks building included; coordinate and oversee mechanical, electrical, and excavation contractors for underground systems tying into new building influent pits, formwork and concrete for all foundations, pits and trenches, suspended slabs with access hatch, precast building walls and hollowcore plank roof, finish slab interior placement, masonry walls for electrical room, exterior sidewalks and approaches.